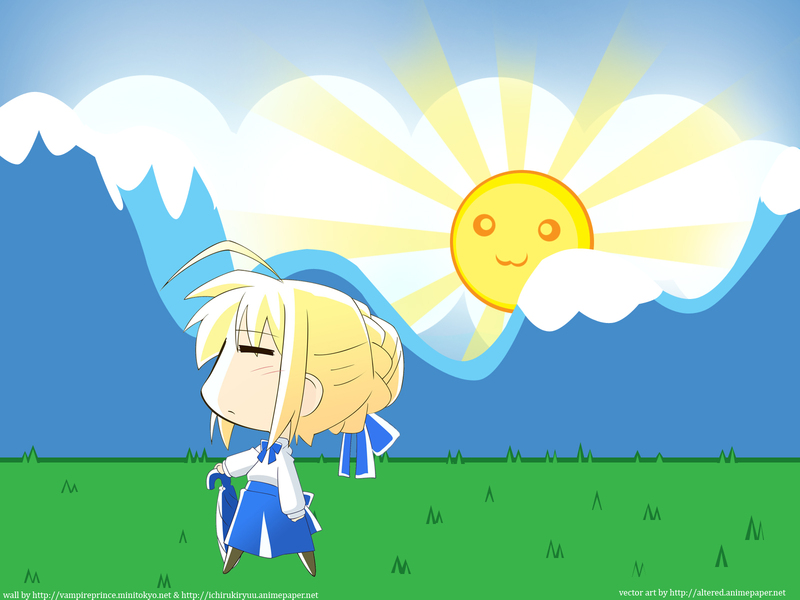 hello there ...i don't have much to say ...i saw this vector of saber and i thought it was very cute http://www.animepaper.net/art/61118/saber-%5Bvector%5D i wanted to make a cartoonish wallpaper or something like that..i wanted it to be like winter just passed by and the spring time has started ..i didn't get the Mountains and the snow malting right but...i know i'm not that good with smallest details i enjoyed making the grass,clouds and the sun well in a simple way. thats all . hope you like it.. I love how you made the sun just pop up behind the snowy mountains :D with that smile. I like the fact how even the sun in chibi.